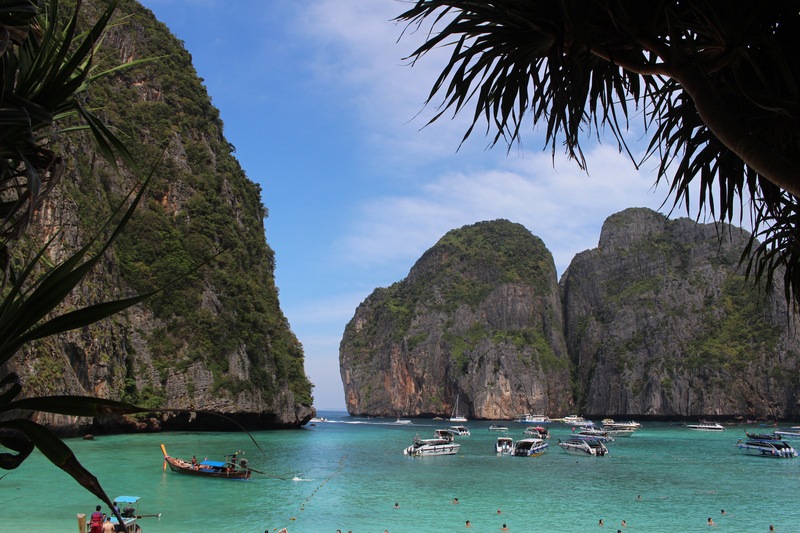 Whenever you think Thailand, you think of white sandy beaches, clear waters and blue skies. The majority of Thailand isn’t like that. Trust me. So you have to go out and find it! So we headed off on a ferry to Phi Phi Islands! 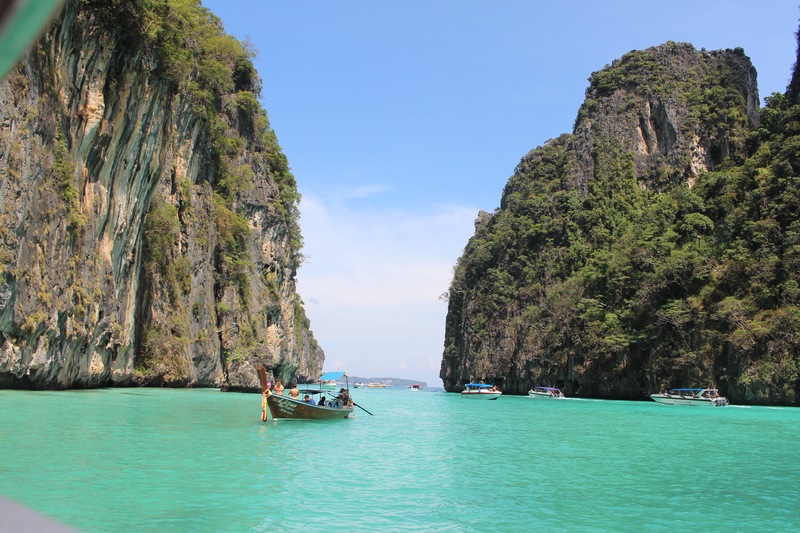 Before the whole trip we had already decided that we wanted to go to Maya Bay, where they filmed ‘The Beach’. So we booked a 1/2 day speedboat trip to the bay, stopping off at a few other hotspots! 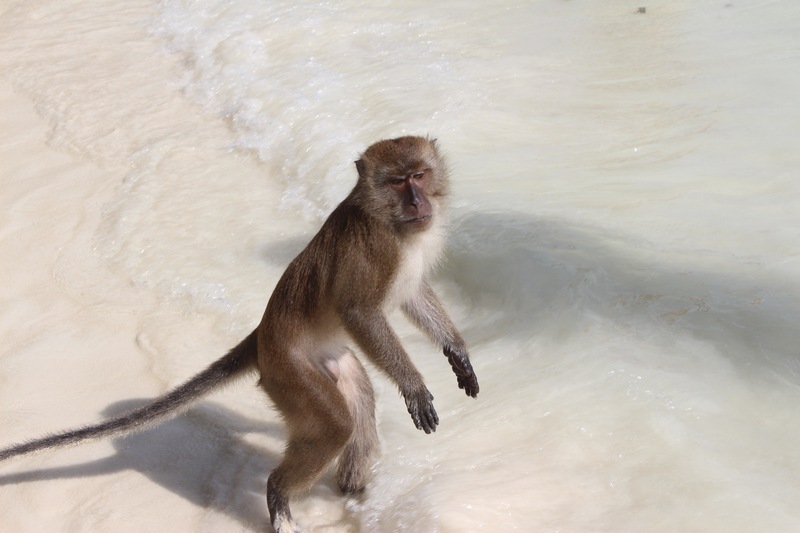 Our first stop was Monkey Beach. 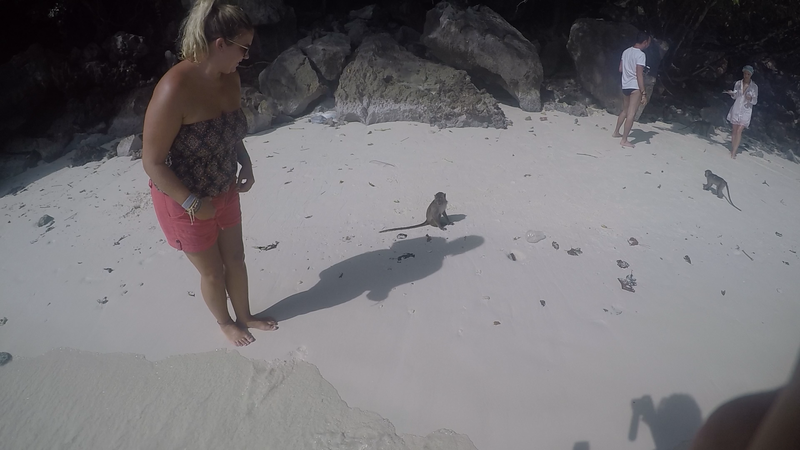 A cute little beach which homed quite a lot of monkeys!! It was really cute, however the minute we got off the boat the tour guide said ‘don’t touch monkey. monkey bite’. Hilarious. However these were some really cheeky monkeys. They were actually quite cute though! 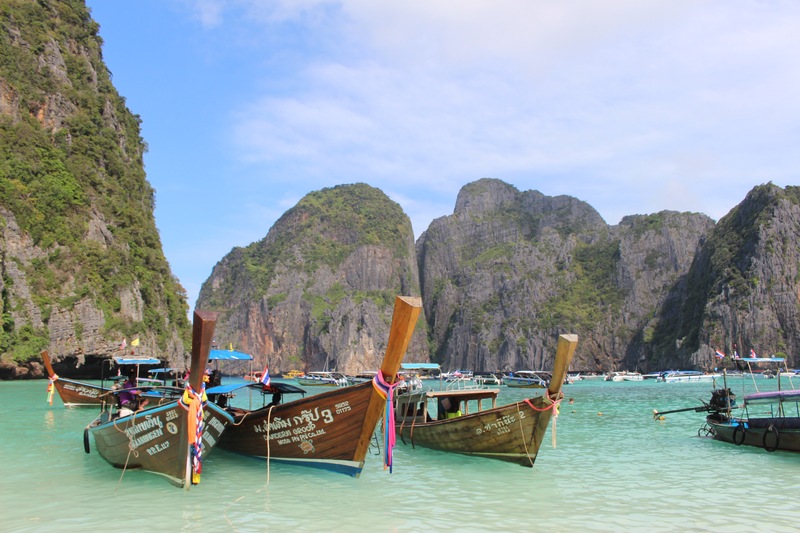 Then we headed off to Maya Bay which is a complete different island. Bumped over a few waves to get there too, but the tour guides seem to love it!! 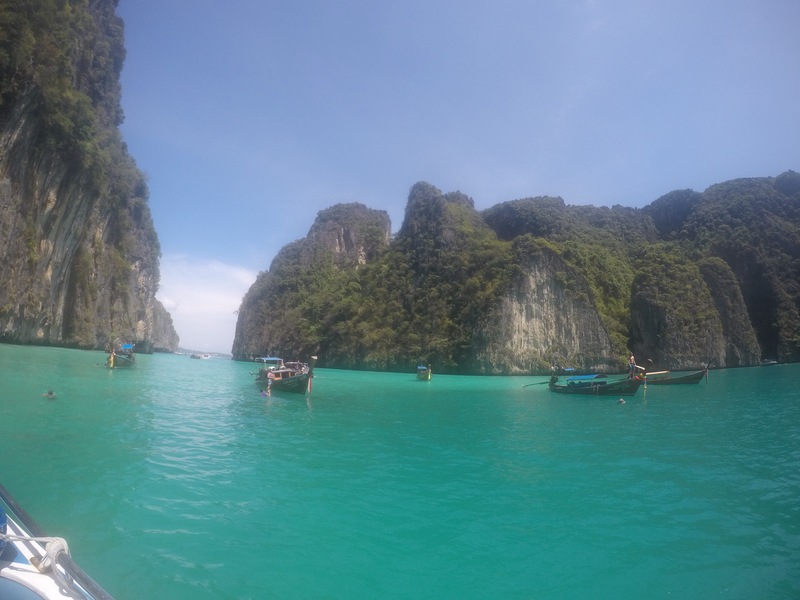 Maya Bay is amazing, literally a postcard right in front of you. The only downfall is that it’s totally overrun by tourists! (Even though we are tourists too) people were EVERYWHERE! So many people taking photos & selfies it was crazy! This is the thing these days, we are all desperate to grab that perfect insta shot that we don’t realize what we are actually missing. And it does really seem like every person out there is ‘doing it for the insta’. There were girls posing like models with their mothers on their knees in the sea. Honestly it’s quite funny to watch. They had a lot of long boats there which do day trips too. It’s such a beautiful place and the trip only cost us about £40 for the 2 of us. The speedboat company gave us unlimited water or coke, and fresh pineapple & watermelon, which was much needed in the glorius Thai sunshine. We stopped off at a couple of other coves on the way back too. Which were just as amazing. I really thought all of Thailand would be picturesque, but it actually isn’t. And I’m really proud of myself for jumping on a speedboat (i really don’t like boats) and going to find a perfect piece of Thailand! 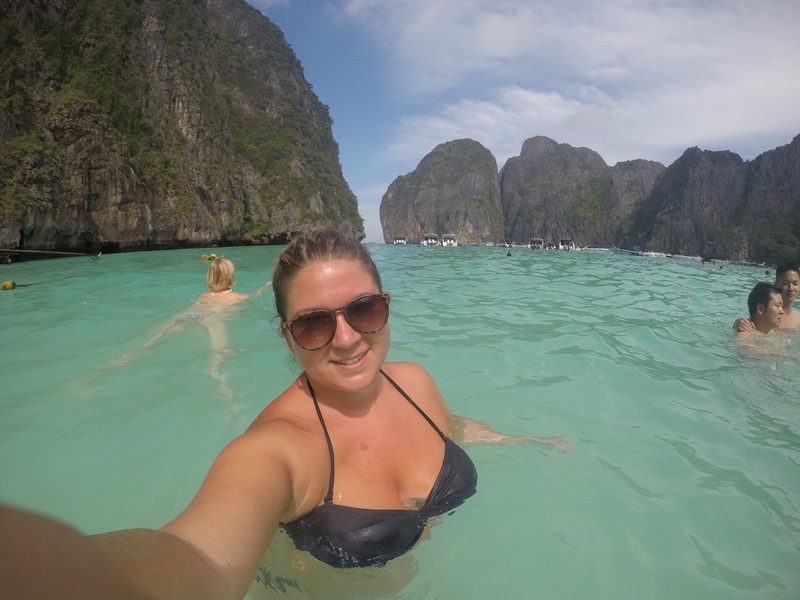 For perfect photos and a lovely trip out you have to visit Maya Bay! !